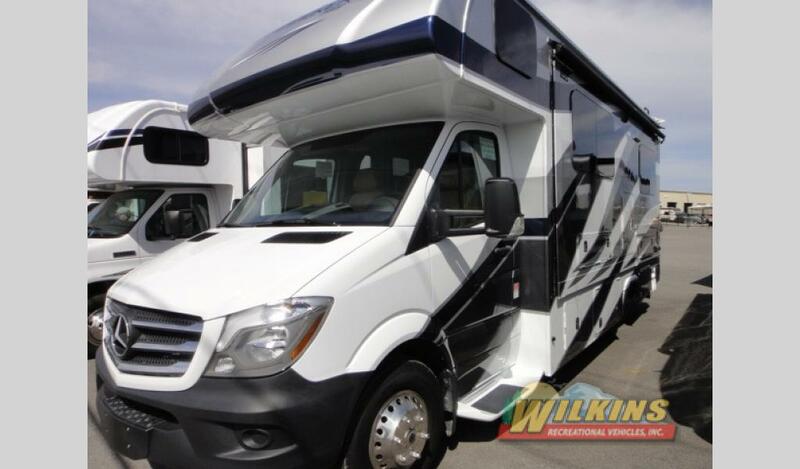 Class C Motorhomes are a popular RV choice due to their easy maneuverability, affordability and freedom. If you are in the market to purchase a dependable Class C RV, the Forest River Sunseeker is an excellent choice. Sunseeker RV Brands are available in three different categories depending on budget, amenities and fuel. 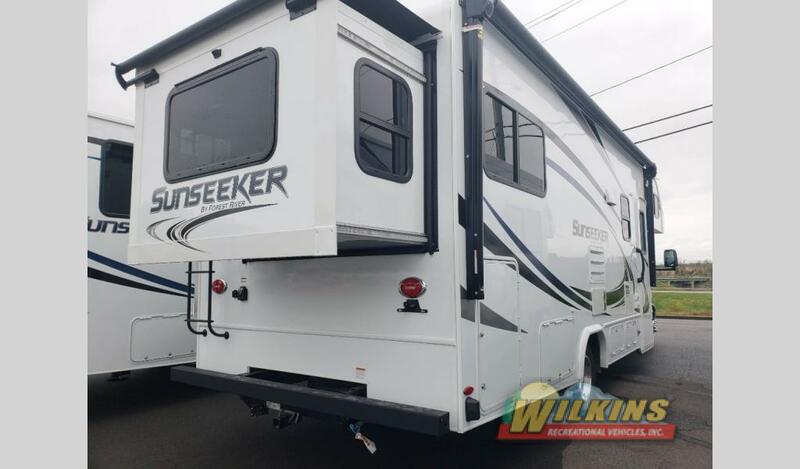 This Forest River Sunseeker review will highlight the main differences between the Sunseeker, Sunseeker LE and Sunseeker MBS models available at Wilkins RV. 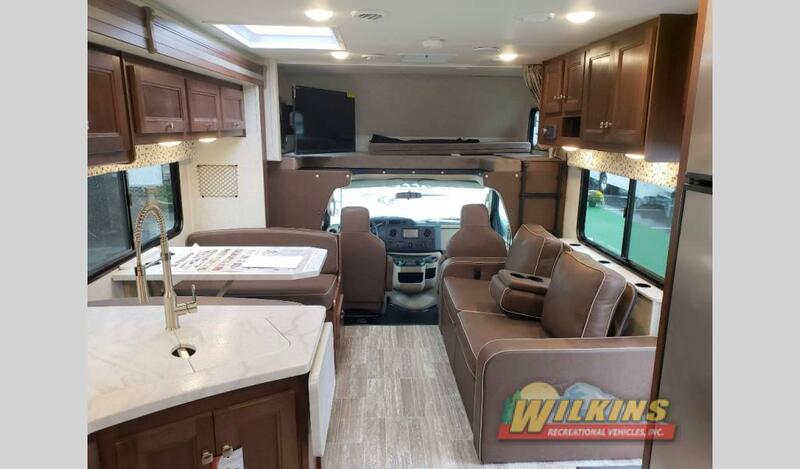 The main line of Sunseeker RV Models feature a 7 ft high ceiling, plenty of storage space, ultra leather seating, and comfy interior appointments that will make you feel right at home. On the outside, the Sunseeker is equipped with quality components such as gel coated fiberglass sidewalls, a one-piece fiberglass front cap and side view cameras in addition to the color rear backup camera for maximum visibility. With 11 models to choose from, including floorplans with a rear slide out room, you are sure to find just the right Forest River Sunseeker for your next travel adventure. Sunseeker LE Models are perfect for the value minded motorhome buyer. 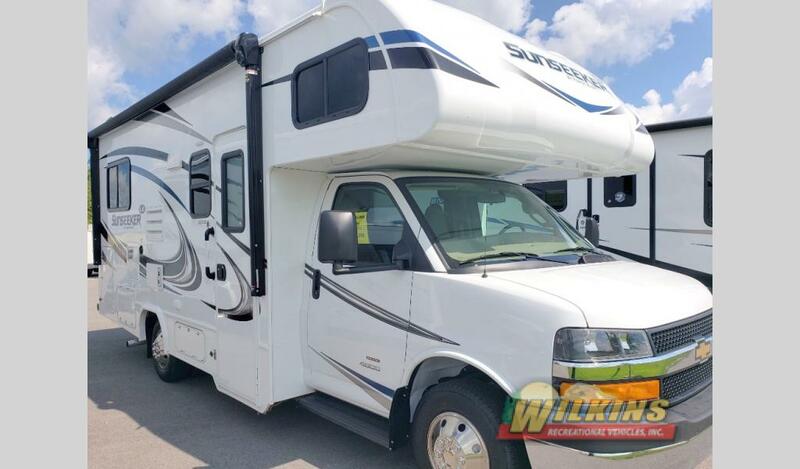 This entry level Class C motorhome is both easy on the pocket book but still offers plenty of comfort, quality and convenience. Choose from a number of Sunseeker LE floorplans that range from a compact 24′ length to the larger Sunseeker 3250DSLE that sleeps up to 9 happy campers. For clean diesel RV power, check out the gorgeous Sunseeker MBS Model. The Sunseeker MBS features one of the world’s cleanest diesel engines with BlueTec SCR Technology. This innovative engine delivers more power with fewer emissions. The Sunseeker MBS is the ultimate spur of the moment adventure RV. With it’s compact, go anywhere, do anything size and ultra comfy interior design, your next road trip is limited only by your imagination. To take a walk-through tour of the RVs highlighted in this Forest River Sunseeker review, Contact Us at Wilkins RV. For motorhome buyers that are outside of our New York state area, ask about our Fly and Drive program. We have RV customers from all over the country that have taken advantage of our low sale prices and incredible selection!